Jeffrey C. Hall, Michael Rosbash and Michael W. Young won this year's prize for discovering "molecular mechanisms controlling the circadian rhythm." Three American scientists won a Nobel Prize for their research on what makes our biological clocks tick. 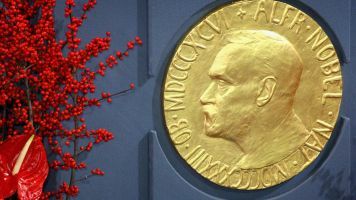 The Nobel Foundation said Monday Jeffrey C. Hall, Michael Rosbash and Michael W. Young won this year's prize in physiology or medicine for discovering "molecular mechanisms controlling the circadian rhythm." In other words, the trio was able to "peek inside" the internal body clocks of living organisms to better understand how they respond to the Earth's rotation. The body's biological clock helps regulate sleep patterns, hormone levels, blood pressure and other important functions. The winners said they were surprised by the Nobel Foundation's announcement, to say the least. Rosbash said he was "shocked" and "breathless" when he heard the news. And Hall told The Guardian he thought it was a prank. Along with worldwide recognition for their research, the three scientists will also share a $1.1 million prize.